Low power consumption CWDM SFP+/DWDM SFP+ module. 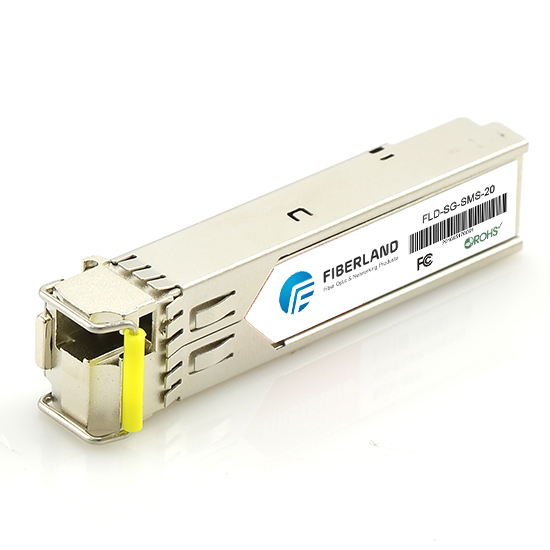 The 10G SFP+ fiber optic transceiver is the new 10G fiber optical module which is in accordance with the ANSI T11 protocol and meets the application of 8.5G fiber channel and the 10G Ethernet. Our 10G SFP+ module adopts the SFP+ standard package with duplex LC interface. Our SFP+ modules meet the hot-pluggable MSA standard and SFP+ multi-source protocol. And these 10G SFP+ fiber optical modules are able to work with the switches and routers of Cisco and HUAWEI and other brands. We supply the 850nm 10G SFP+ module, 1310nm 10G SFP+ fiber optical module, 1550nm SFP+ module, CWDM and DWDM optical module with lower power consumption and DDM function. The transmission distance of SFP+ module we supply is from 300M to 80km.